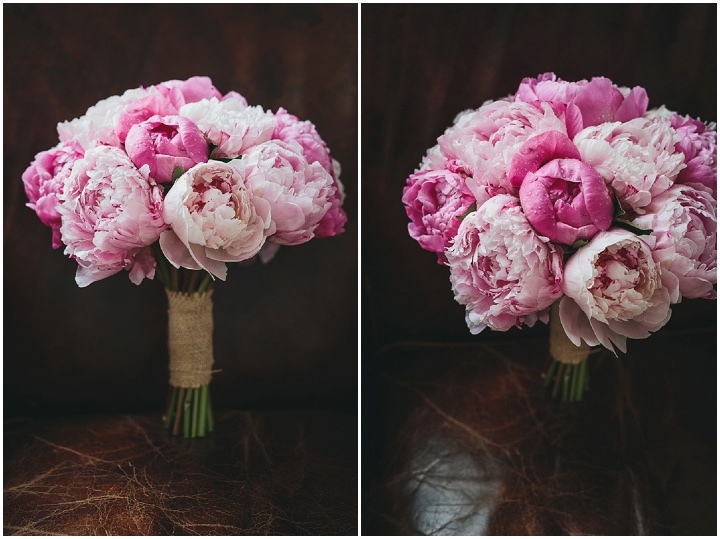 Happy Monday everyone and welcome to another fun packed week on the Blog. I hope you all had a wonderful weekend and got to enjoy he lovely sunshine that most of the country has been having over the last few days. 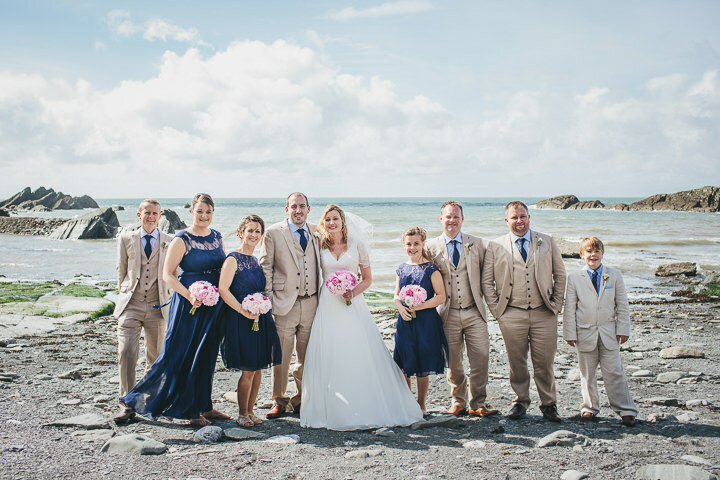 The normal blogging schedule is now back to normal, so we are starting off the week with this fabulous wedding from Helen Lisk Photography that takes place at possibly my favourite wedding venue, Tunnels Beaches in North Devon. 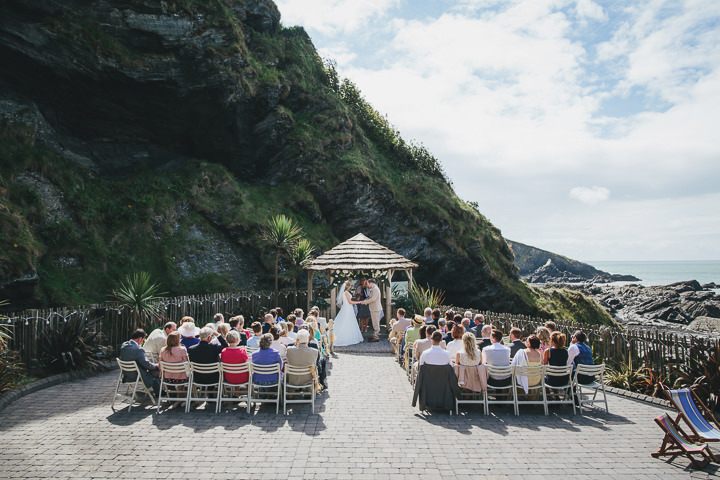 Sarah and Dean chose to hold both the ceremony and reception outside to make the most of this stunning location, and the results are spectacular! 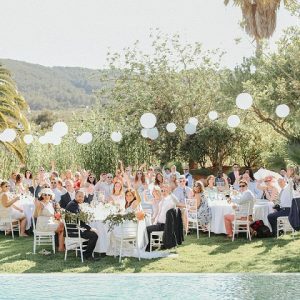 With some amazing decorations ideas, along with fab food and those amazing views this wedding is one that I would definitely have loved to have attended. I hope you love it as much as I do. We’ve been together 5 years. Dean was my electrician! I’d just moved into my new flat when my oven broke. A friend’s husband recommended Dean as someone who could fit the new one. When I answered the door I was pleasantly surprised and several broken electrical appliances later (Dean still maintains I broke them on purpose to get him round) he asked me out to dinner. We were on a mini-break in Rye, East Sussex and had got up early to go to the beach at Camber Sands. Since I was a small child I’ve loved collecting sea shells whilst paddling on the shoreline. I was busy looking for my next best find when Dean asked, ‘what about this one?’ I turned around and he was holding a clam shell and inside it was a diamond engagement ring! 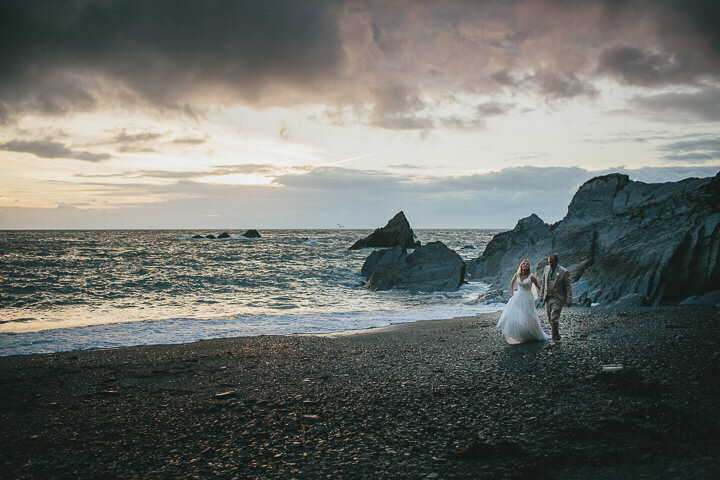 He went down on one knee (in the sea) and proposed!! 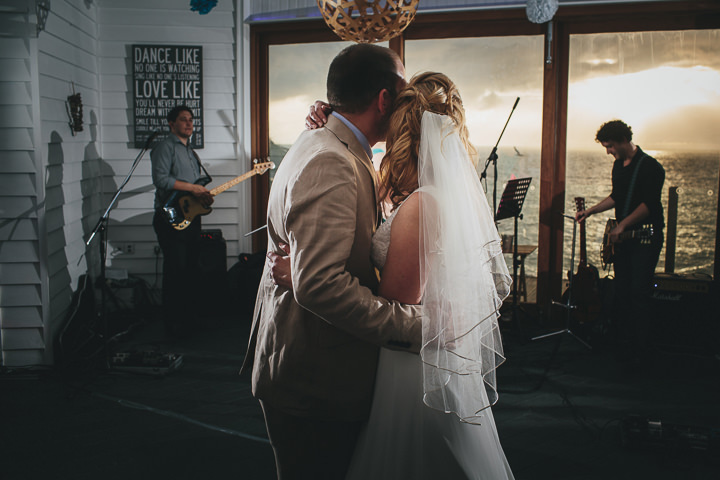 Our family and friends were all travelling a long way to our venue so we wanted to ensure they had a really good time. The food, drink and entertainment were therefore really important to us. 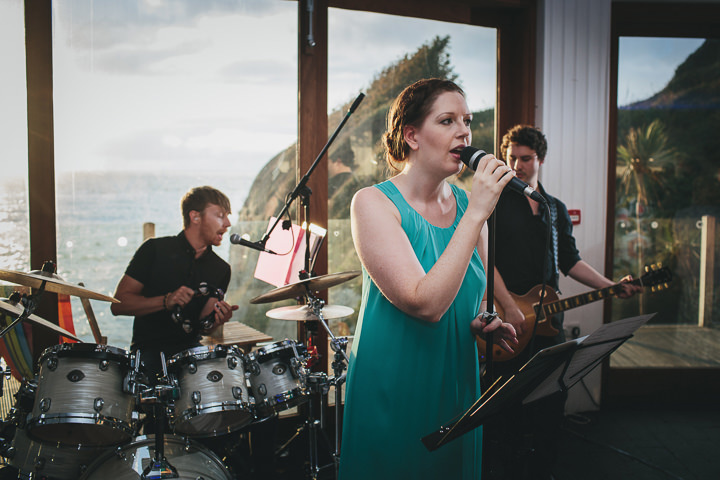 We booked a live band for the evening, had lots of tasty canapés and BBQ food, and made sure there was plenty of wine! We splurged on the photographer and the band. 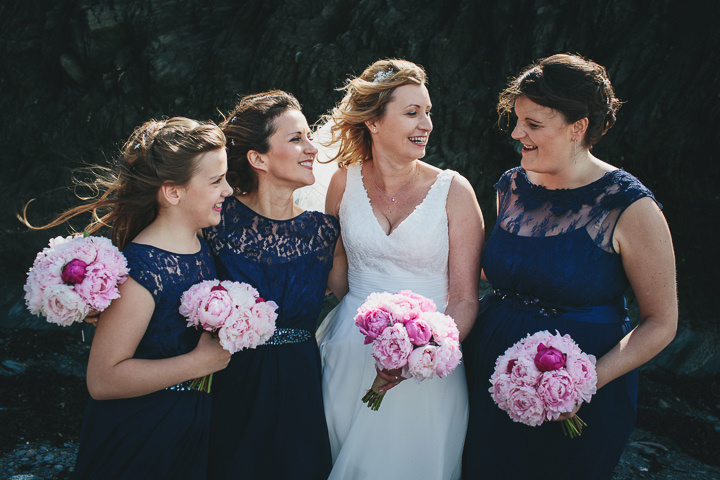 It was really important to us that we had every aspect of our day captured and Helen was worth every penny. We’d looked at DJs but our first and second choices were both booked for our wedding date. We then started looking at bands and came across Nu Generation. We were not disappointed, their set list was brilliant and all our guests commented how great they were. We didn’t need to budget for cars, as the ceremony and reception were at the same venue and we’d decided to have our wedding cake as dessert. 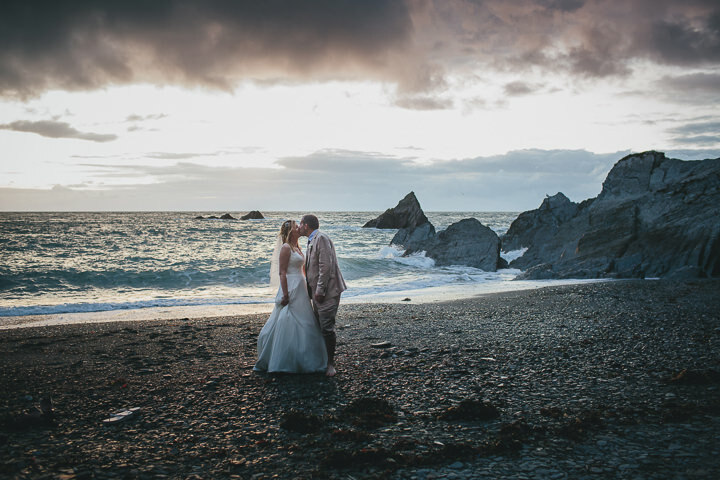 I was reading about another wedding at Tunnels Beaches on a wedding blog and thought Helen’s photography was stunning. Neither Dean nor I like having our picture taken and I was wary of pushy photographers I witnessed at weddings we’d been to in the past. With in the first five minutes of meeting Helen I knew we were in safe hands. She was so lovely and fantastic on the day, there when we wanted her to be and then in the background capturing the whole day for us. 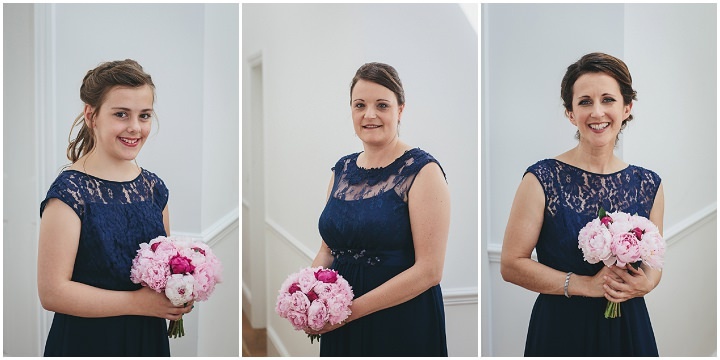 The final photos were beyond our expectations, we can’t quite believe it’s us in some of the photos she took, just awesome photography. 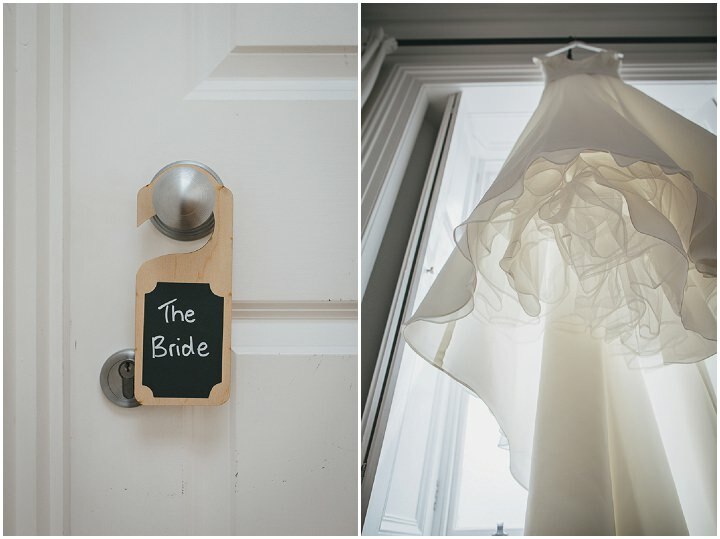 My dress was by Sincerity Bridal. My shoes were from Pink Paradox. I have quite wide feet and finding a pair of bridal shoes a rather long and stressful process. I eventually ordered a pair online which were pretty but not very me. 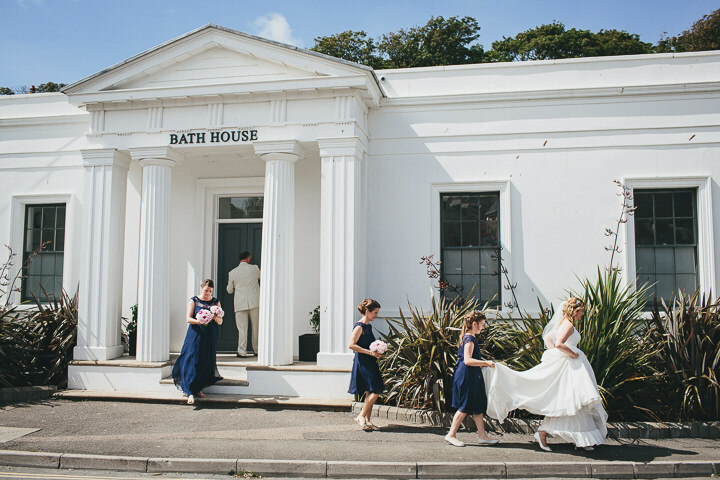 I wore them during the ceremony but they were quickly replaced by some beautiful, pearly white, diamante wedge flip flops from Accessorize! My hair piece was by Robert Designs. 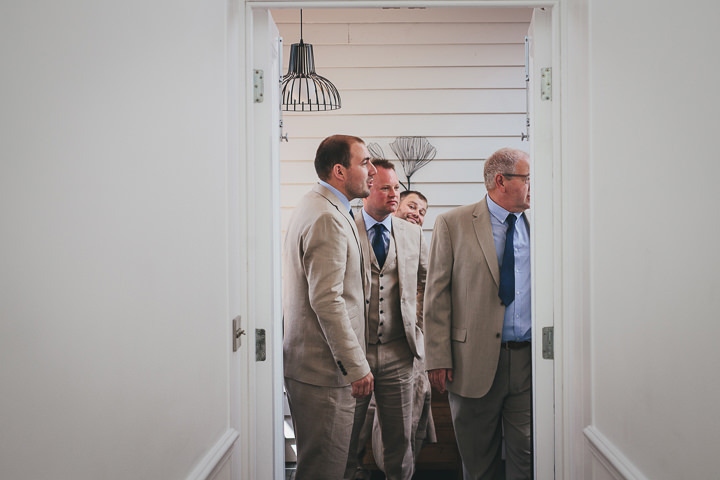 The suits were by Jeff Banks at Debenhams, shirts from Moss Bros and ties Marks & Spencer. 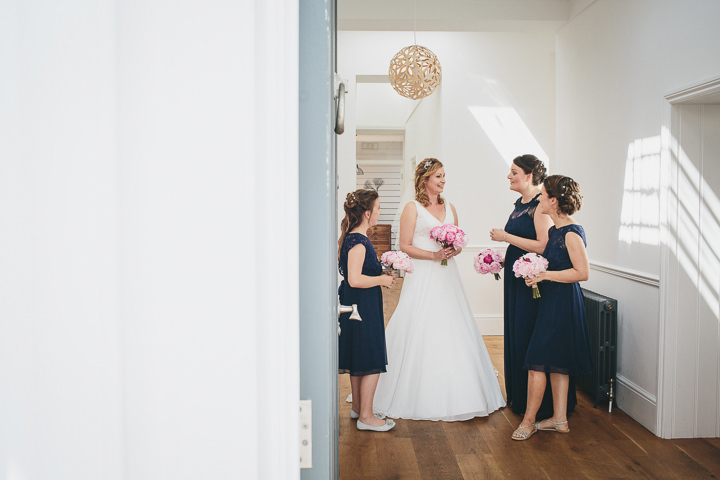 The bridesmaid dresses were from Coast, they wore their own shoes. 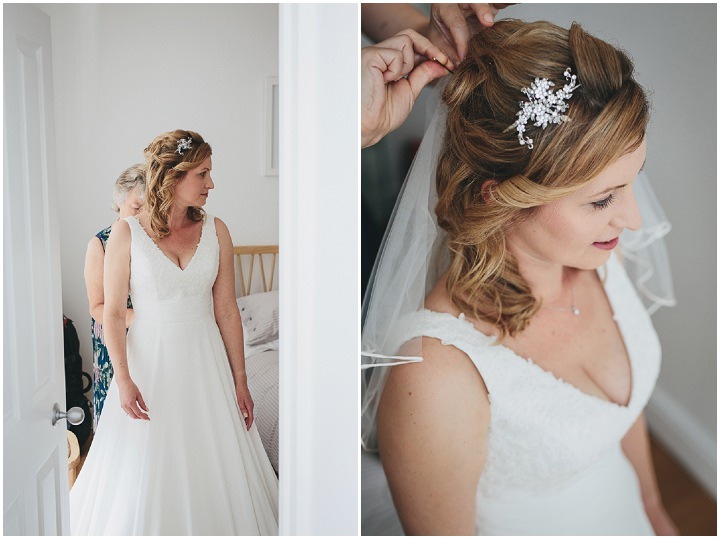 Their Rhinestone starfish hair twists were from Allure Wedding Jewellery. 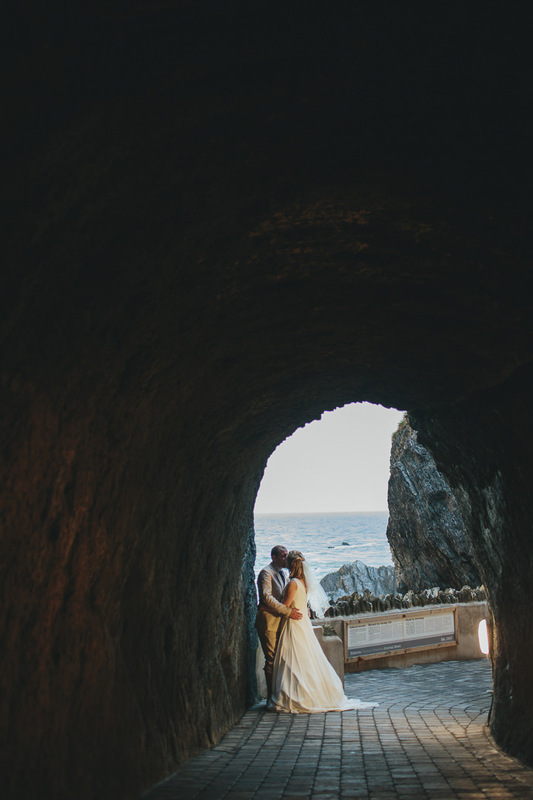 Tunnels beaches has a lovely shabby chic beach style which is what draw us to the venue, so we wanted the decoration to compliment this. We used navy throughout and then lots of starfish, seashells (from Dorset Gifts), driftwood and candles. 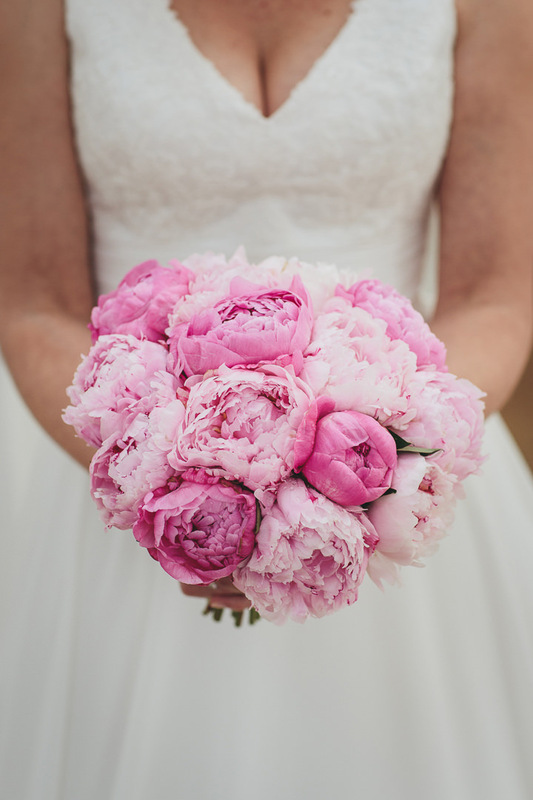 The bouquets were hot pink and pale pink peonies, the buttonholes were white freesia. 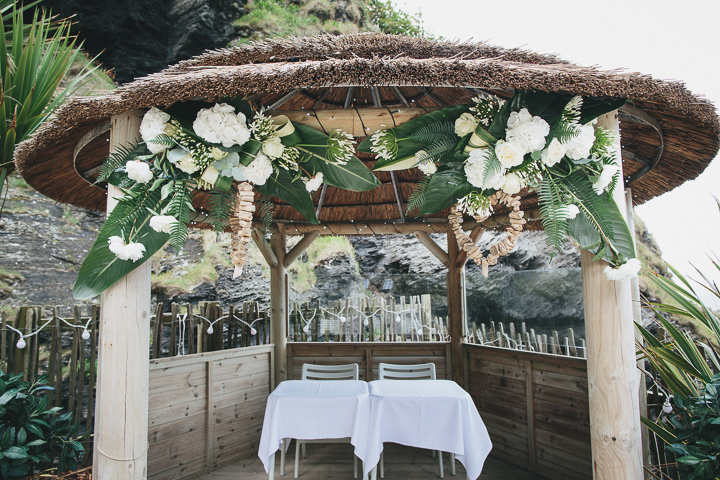 The gazebo under which we married was decorated in tropical beach style foliage with white peonies, roses, hydrangea and agapanthus. 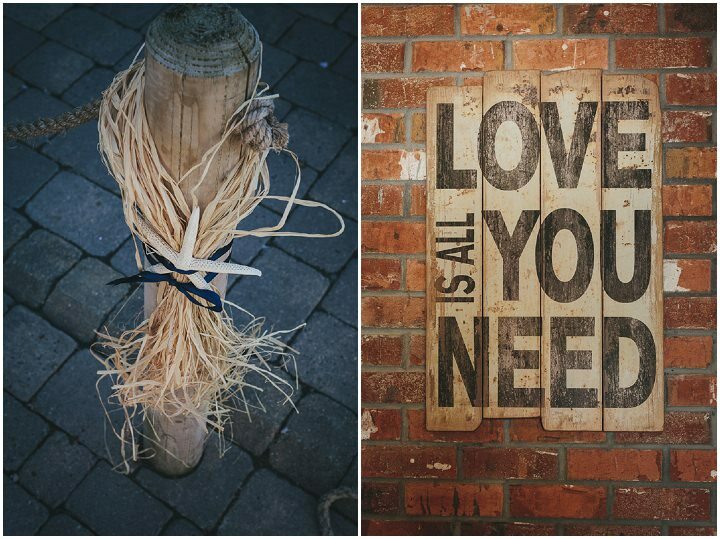 The driftwood hearts came from Dorset Gifts. 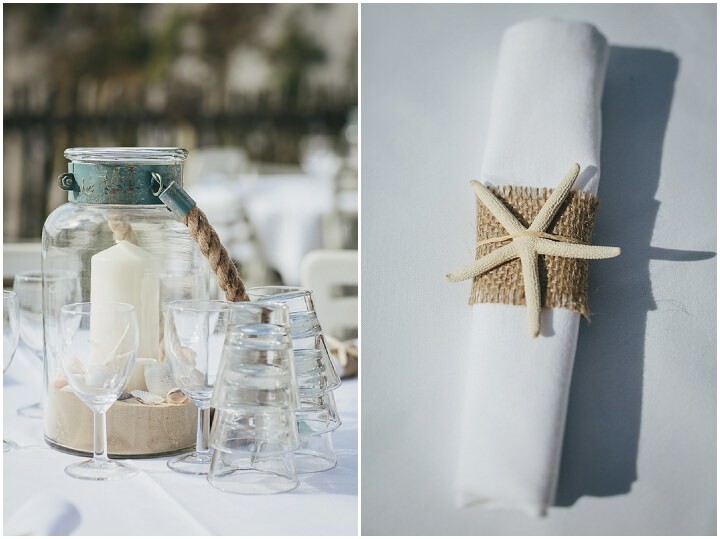 Table centres – rope handled glass lanterns filled with sand, seashells and church candles. Large vases filled with seashells, cheese plant leaves and floating candles. Wooden starfish and mini boat bunting we bought on our travels. 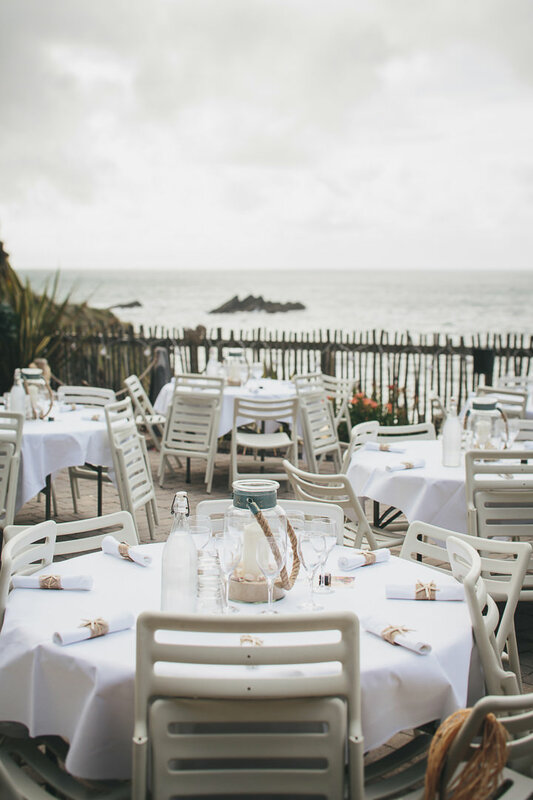 For the rooftop tables we had small water filled Kilner jars with pink sea urchins, white starfish, white hydrangea and floating candles. 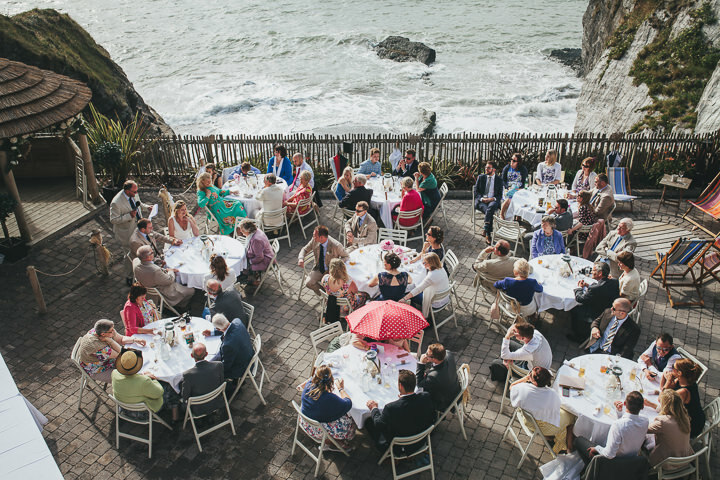 Immediately after the ceremony we had Prosecco and delicious canapés; smoked salmon roulade, spicy crab cakes, mini pasties, mini scones with cream and jam. For the wedding breakfast we had a delicious BBQ of burgers and sausages plus prawn and monkfish skewers, rosemary lamp chops and spicy cajun chicken kebabs. They were served with lots of lovely salads and breads. 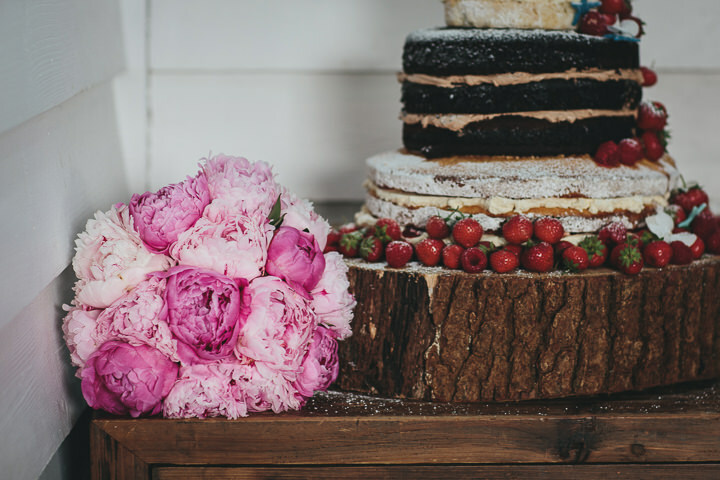 Our cake was a three tiered naked cake of lemon, chocolate and Victoria sponge sandwiched with buttercream and covered in summer fruits. We served the cake as dessert with cream and more summer fruits. 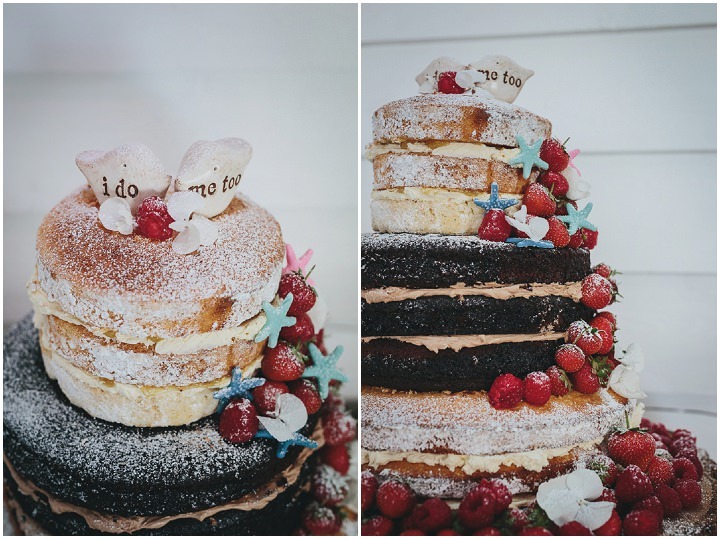 The ‘I do, me too’ love birds cake topper was from SkyeArt. 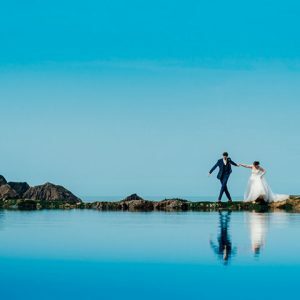 For the ceremony we had a playlist we produced ourselves. 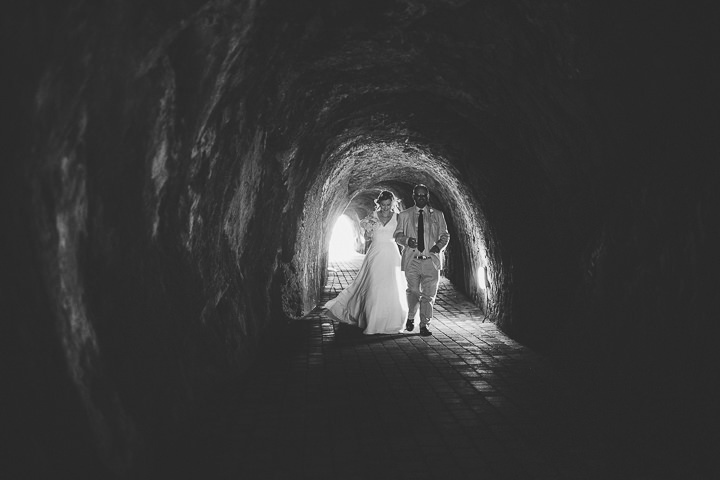 I walked down the aisle to ‘Somewhere over the Rainbow’ by Israel Kamakawiwoʻole and we walked back up to ‘Your love keeps lifting me higher’ by Jackie Wilson. We’d created another playlist for the rest of the day and early evening of our favourite songs and booked Nu Generation Band to play 2 sets in the evening. 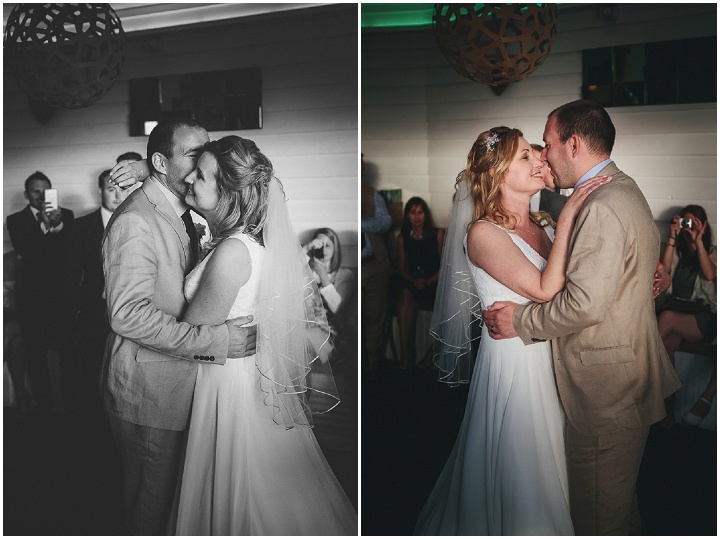 Our first dance was to ‘At Last’ by Etta James. 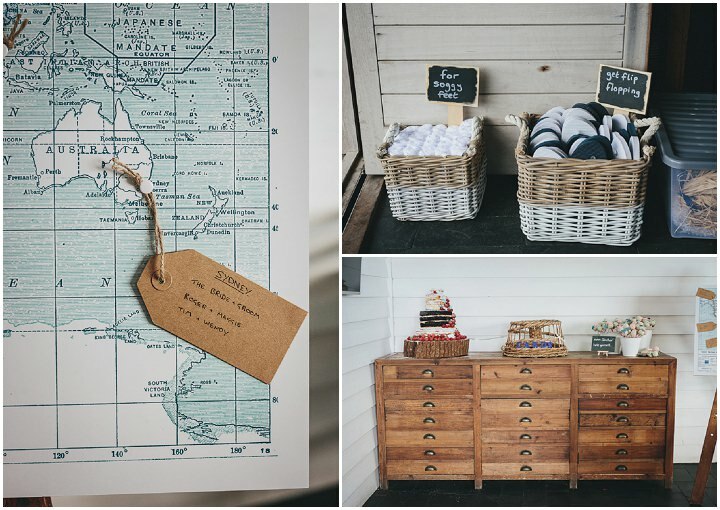 Our Save the Dates were bespoke tea towels designed by another groom who had created them for his wedding at Tunnels Beaches and very kindly reproduced them for us. 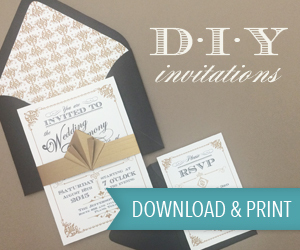 Our invitations were designed by www.sarahwants.com from her Seaside Collection. 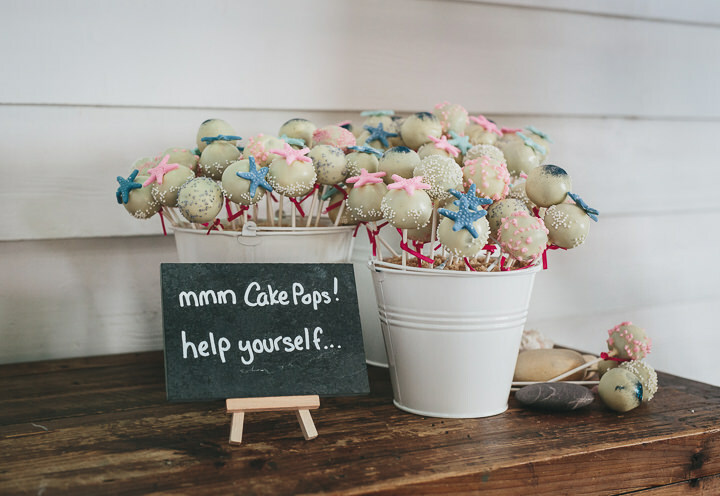 – Cake pops display – we filled small tin buckets with rice and topped them with Demerara sugar to look like beach buckets full of sand. 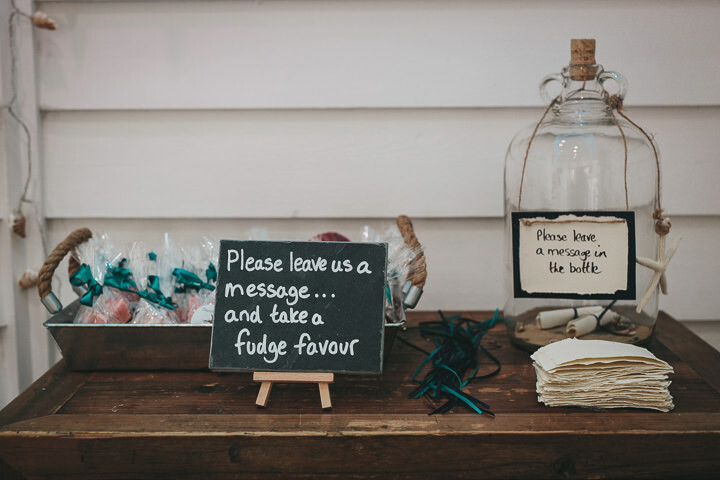 – Fudge favours – we bought the fudge from Fudge Kitchen in Oxford. 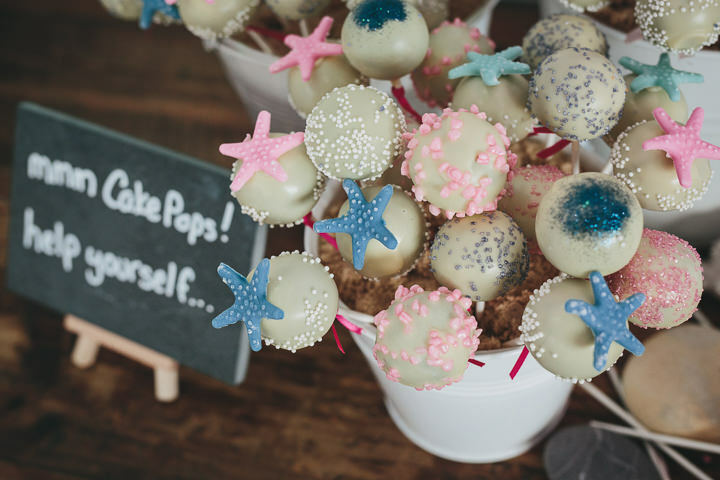 We designed and ordered starfish thank-you stickers from Zazzle and wrapped up the fudge into small cellophane bags tied with navy and teal ribbon. – Napkins and napkin rings. I ordered white linen napkins online and my mother hand-sewed the napkin rings which were made from small starfish, hessian and twine. 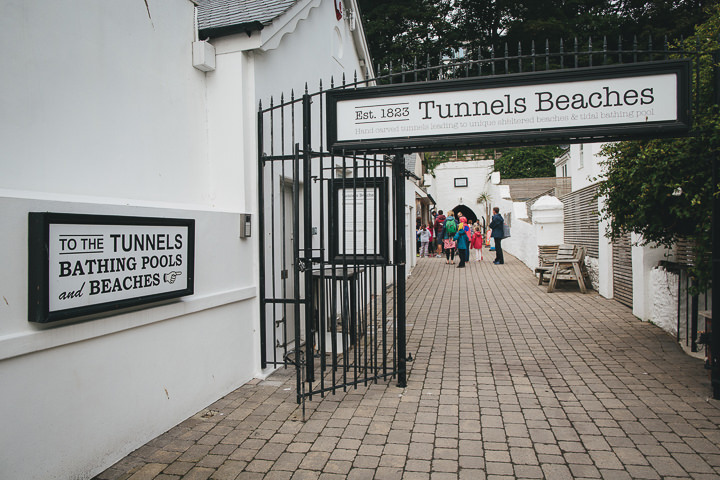 – Beachwear – for anyone that wanted to go for a paddle we provided a basket of navy and white flip flops and a basket of towels to dry soggy, sandy feet. – Messages – I decorated an old glass demijohn bottle with starfish and left next to a pile of handmade paper and some ribbon so guests could leave us ‘a message in a bottle’. – Confetti cones – I ordered Delphinium and Wildflower petals in Raspberry from www.confettidirect.co.uk and made the confetti cones myself from wrapping paper bought at Paperchase. 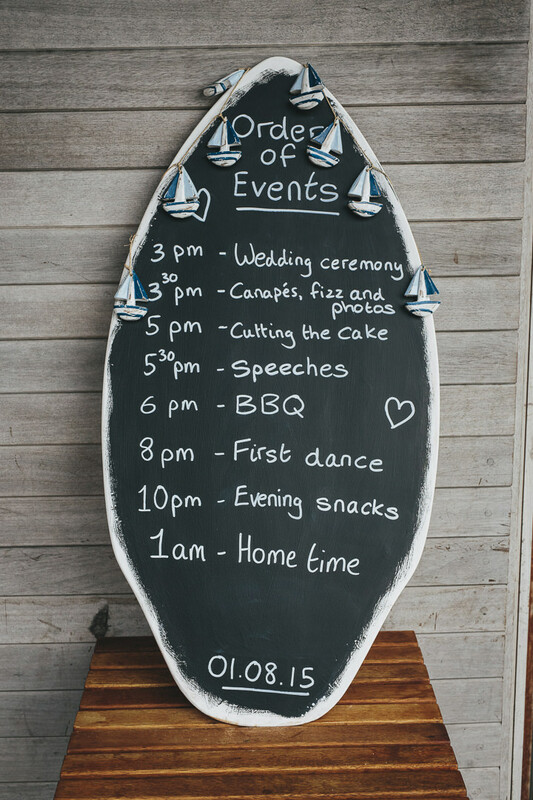 – Order of Events – I upcycled an old wooden boogie board to a chalkboard which we wrote the order of events on and decorated with a mini wooden boats garland. – Signs – Dean made these from slate (leftover from our house renovations) and the mini easels bought from Amazon. 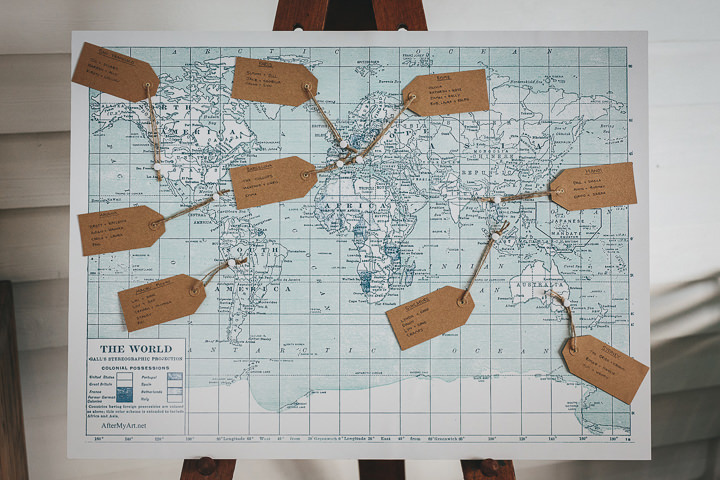 – Table plan, we made the table plan ourselves, each table was named after a place we’d visited on our travels. We bought a map and used luggage tags to list the names for each city. 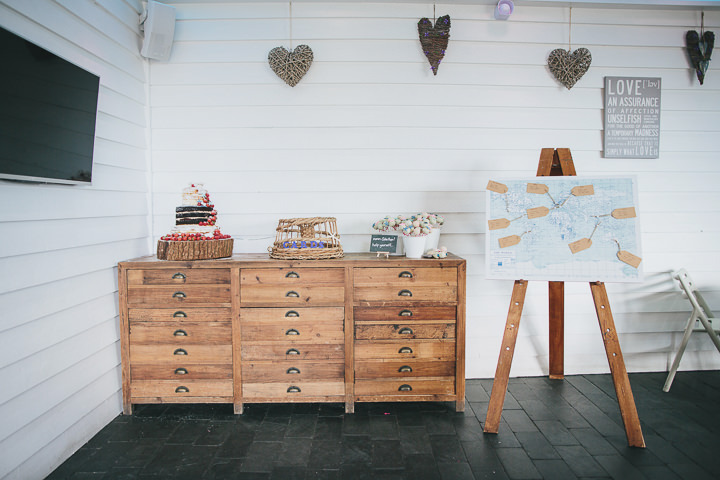 We then placed vintage postcards for each location on the respective tables. 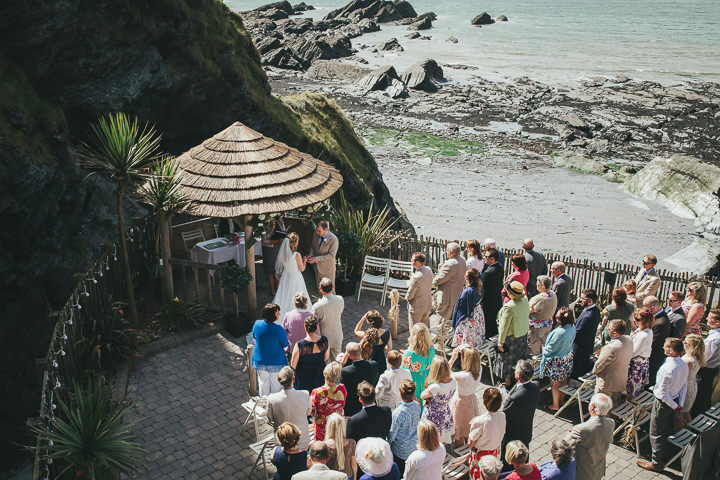 – Post box – nothing says seaside wedding like a lobster pot wedding card post box, right? I may have taken the theme a little too far with this one!! I bought the lobster pot on eBay and then decorated with starfish and mini decoupage letters to spell ‘Cards’. – Aisle chair swags – I made these from large white starfish, raffia and navy ribbon. 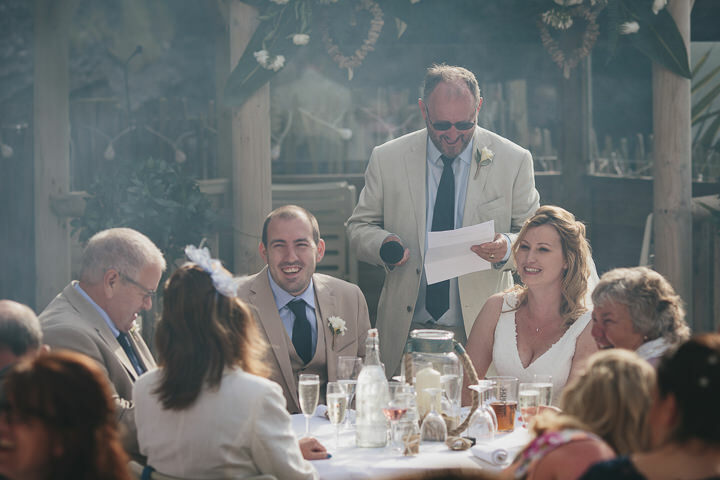 Saying our vows in front of family and friends was really special. 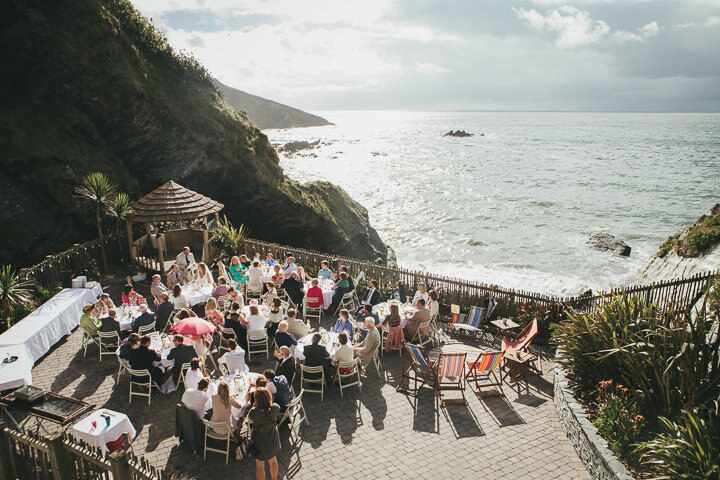 It had been drizzling all morning but the sun came out just in time and I got to marry my best friend under a beautiful gazebo looking out to sea. 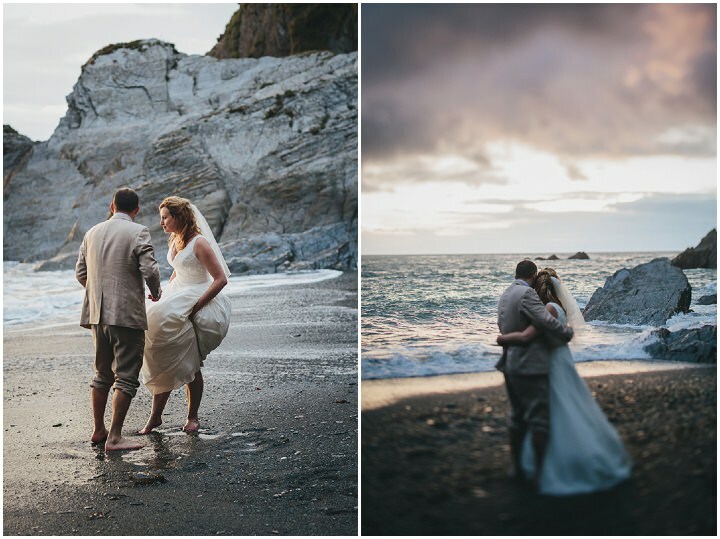 We snuck out with Helen to get some lovely romantic photos on the beach at sunset. 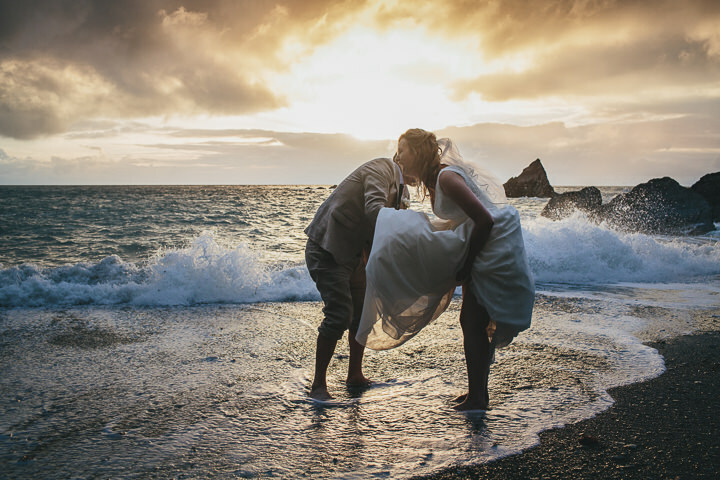 But we’d left it a bit late and the combination of trying to get Dean’s shoes off quickly, the icy cold water, and both of us trying to hold my dress up led to us all doubled over in hysterics. 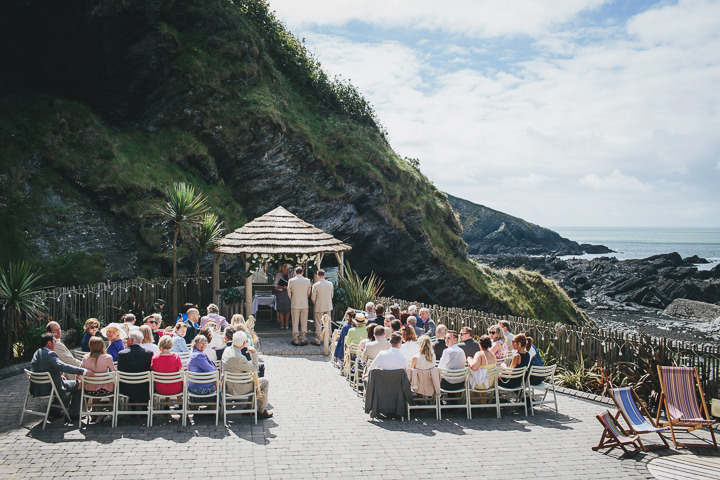 We live in Oxfordshire so planning a wedding in Devon meant we needed to do a little more leg work on suppliers. 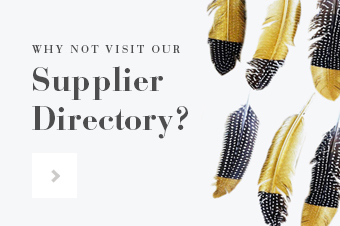 We took recommendations from the venue and found the rest of our suppliers from researching the regional wedding awards website. 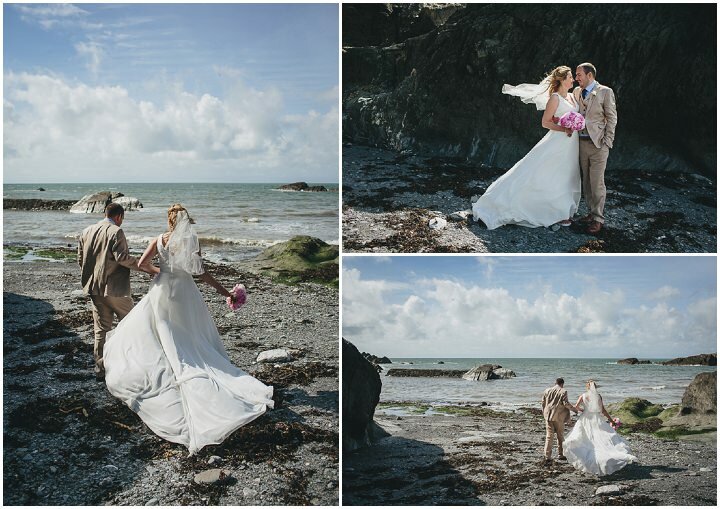 In one weekend trip to Devon we met and booked the photographer, cake and florist! 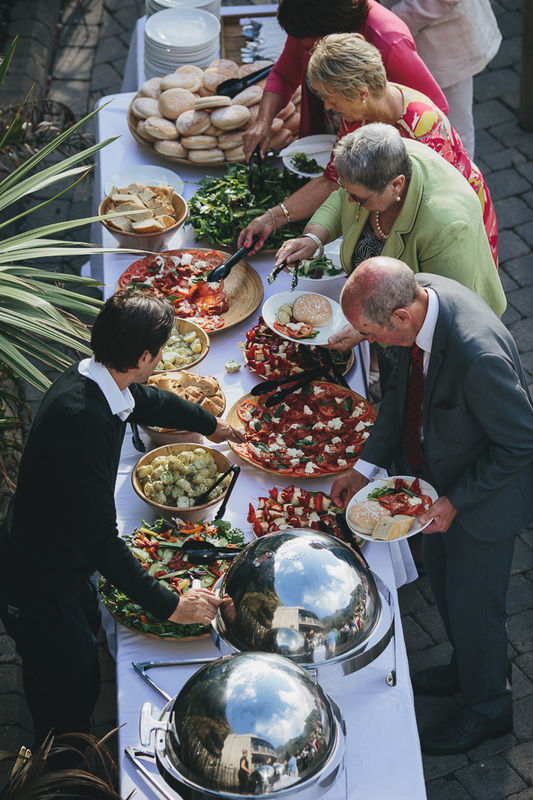 Get your caterers to put you both aside some canapés or anything else you’d especially like to eat. We were so busy we missed out on cake pops and canapés which we’d been looking forward to. Try to take some time alone together to stand back and acknowledge the day. It goes by so fast and it was lovely for us to regroup and just watch everyone enjoying themselves. 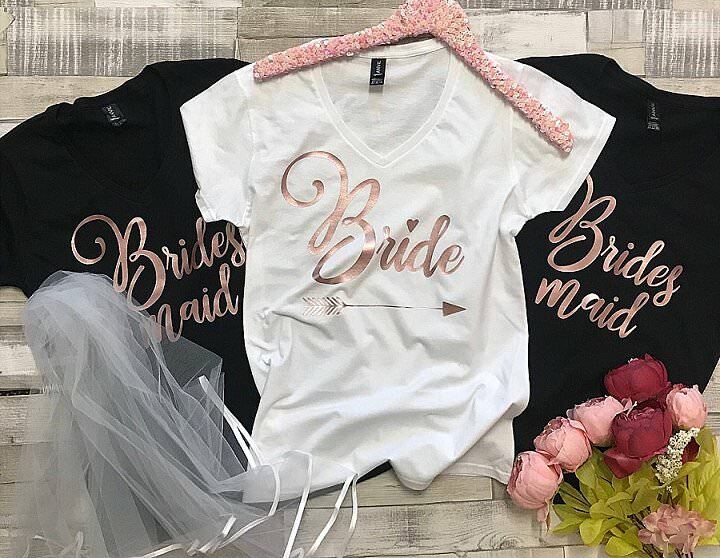 Have the wedding you want. Everyone will have an opinion and will share it with you whether you ask for it or not. Although it all comes from a good place it can be frustrating so remember it’s your day and stick to your guns! 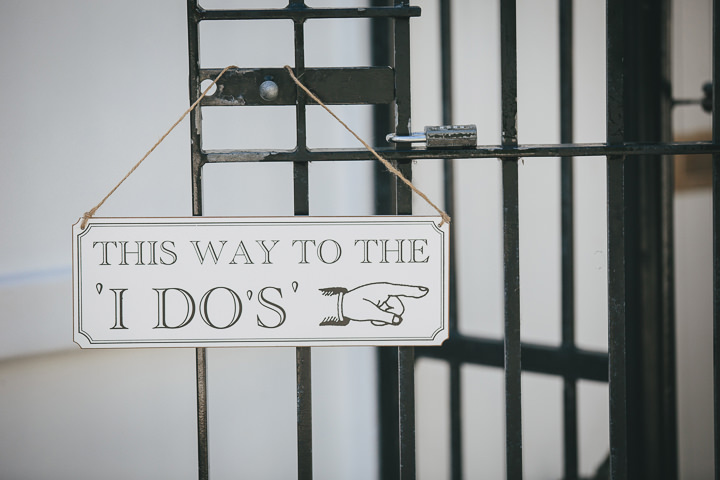 Nail your guest list as soon a possible. 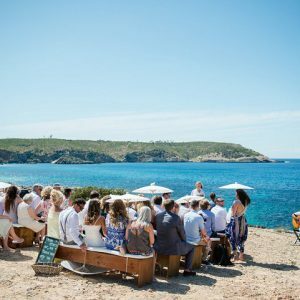 Get the awkward conversations out the way early on so you can enjoy the planning! 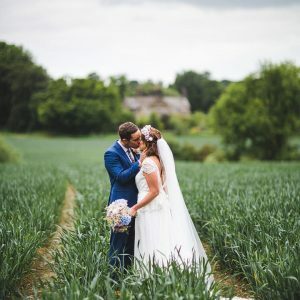 We didn’t want a large wedding and this resulted in some uncomfortable discussions around numbers but it all turned out ok.
Everything went pretty but without a hitch, we were kind of expecting something to go wrong but it didn’t! 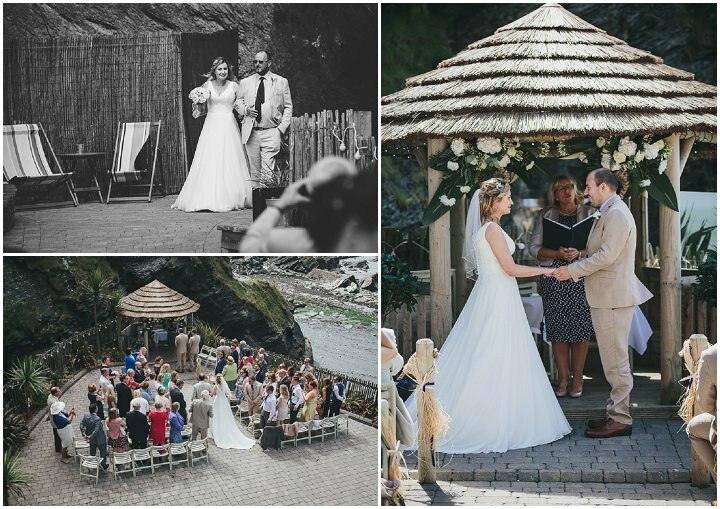 Tags: outdoor wedding, Devon wedding, outdoor ceremony, beach theme, Shabby Chic, Helen Lisk Photography, outdoor reception, North Devon, The Tunnels Beaches, Sincerity Bridal.